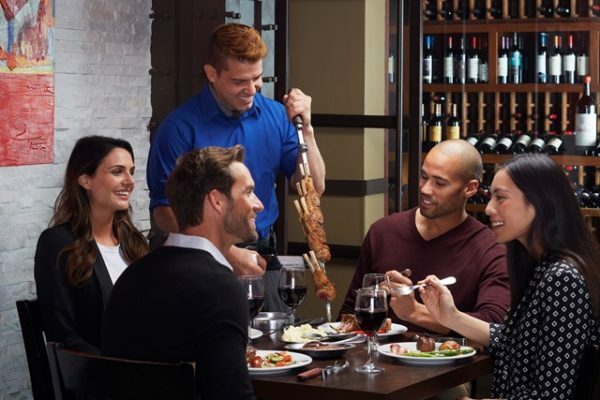 Texas De Brazil combines the delicious flavors of Brazilian cooking with southern Texas hospitality to create a unique dining experience for everyone. This gourmet steakhouse allows you to treat yourself to the seasonal salad area including appetizers, gourmet vegetables, soups, and salads. With 50-60 seasonal items to choose from, there is something for everyone to love! Join Texas de Brazil for their Easter Extravaganza on Sunday, April 21st! Opening at 12:00pm, they will be serving their regular dinner menu all day long. Select non-alcoholic beverages and choice of dessert included. Special brunch items will be available until 3:00pm! Restrictions apply. Learn more here. See restaurant for full details. Opening at 12:00pm, they will be serving their regular dinner menu all day long. Select non-alocholic beverages and choice of dessert included. Special brunch items will be available until 3:00pm!